Caitlyn and Russell were married at The Homestead and we really enjoyed our time with them. This is a quick sneak peak of Caitlyn walking down the steps of one of our nations most historic properties, dating back to 1776. 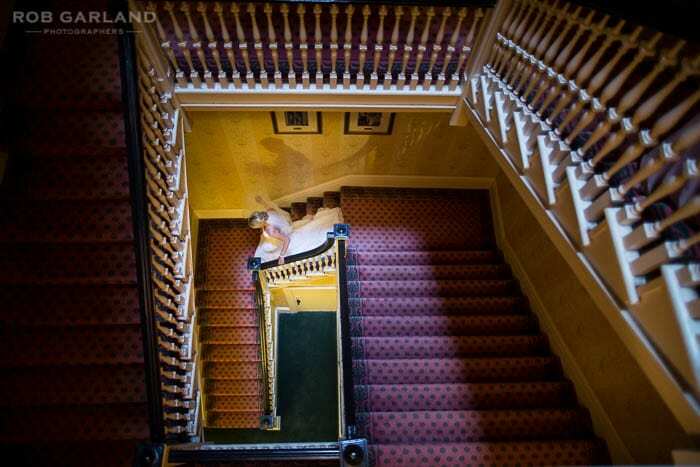 It was really nice for us to showcase the inside of the venue as Caitlyn descended, just before her nuptials. Borrowed – my parents ring pillow, I love it! And my aunt’s diamond earrings. She passed away in February and we’re all still missing her very much. My uncle is letting me borrow the rings to wear for the wedding. Something old – my grandmother’s pearl bracelet. The clasp is a little bit broken but I love it and wanted something of hers for the wedding day. I’m also really into my shoes and all the groomsmen, ushers. Etc. have really cool socks.